These stars are a fun and easy decoration for kids to make. You need fun foam scraps, foam core board scraps, paint and brushes, gluestick, and cardstock. If you want to skip the who stencil part, you could use striped and starry cardstock. 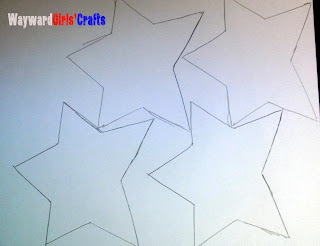 Trace at least 4 stars per each decoration you want to make. The stars need to have 1 line of symmetry. I used white and blue cardstock. 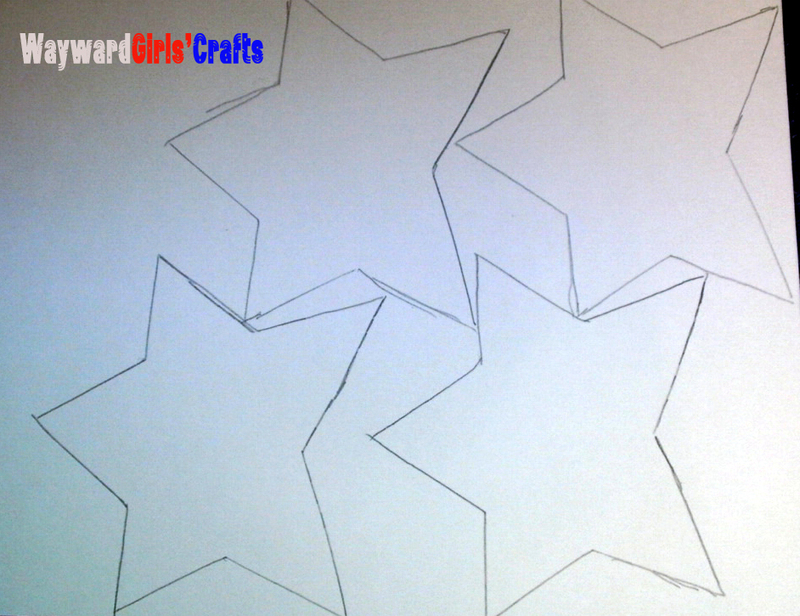 This will make 1 finished star. Now stamp away. I liked using various directions and color intensity. 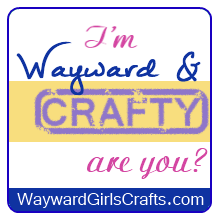 (That means you can stamp more than once without reloading if you want.) Don't try to stay in the lines. 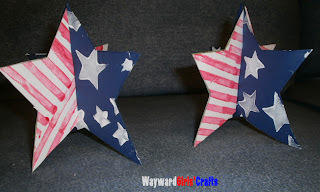 You will need 2 striped stars and 2 starry stars for each decoration. 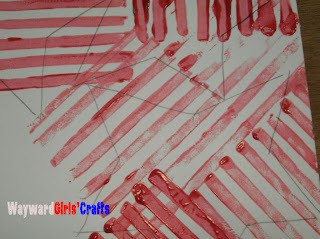 Cut out your shapes after they are dry. 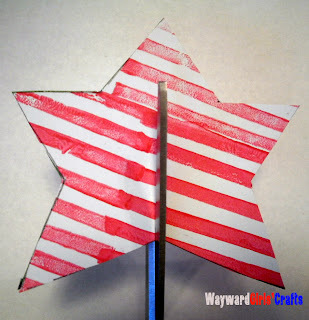 Glue the 2 striped stars together and the 2 starry stars together so that you have the pattern on both the front and back. Trim as needed. Cut a line up the center of of the striped star. Stop about 1 inch from the top. (Where the scissors end in this picture.) You might want to draw a dot to show a child how far to cut. 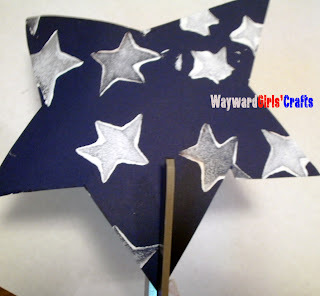 Cut down 1 inch from the top center on the starry star. 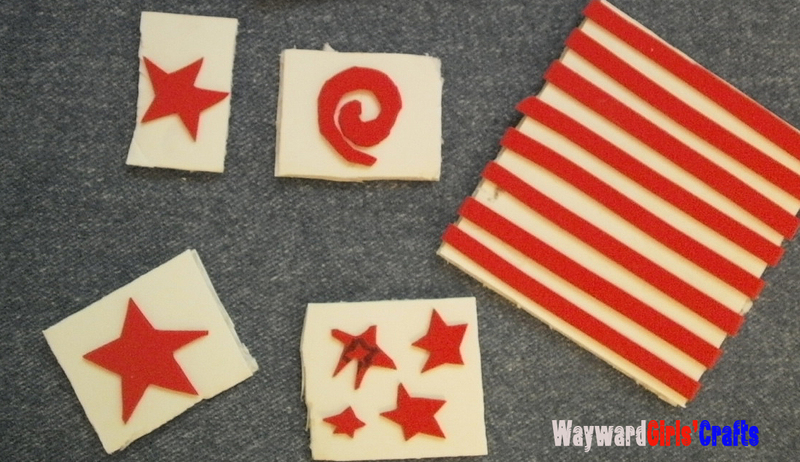 Now slip the striped star onto the starry star and Voila! 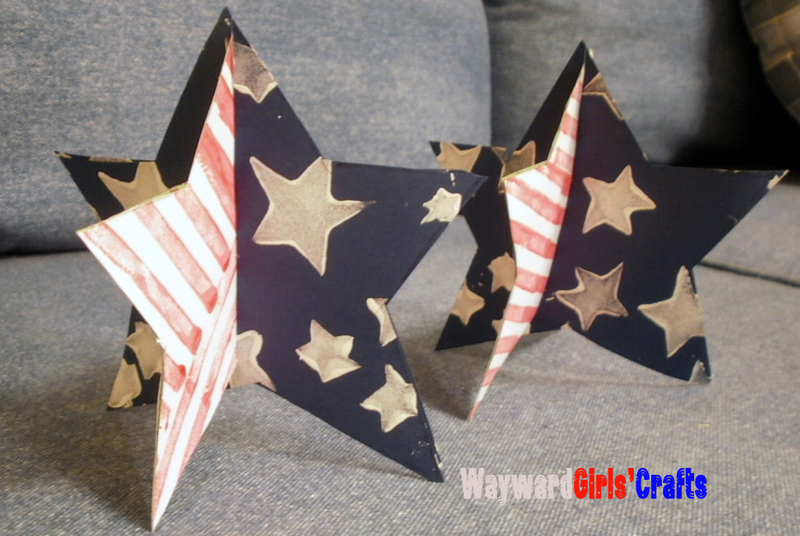 Stars and Stripes in 3-D! Homemade stamps are so fun! I love your Snape quote. These are too cute!! Great idea! Wow those are really neat! 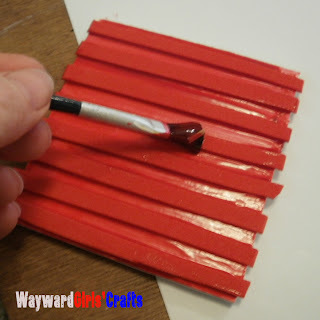 This is such a fun idea. I love the design. 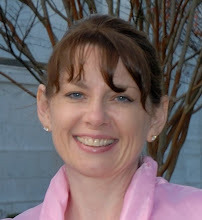 Thanks so much for stopping by meaningfulmama. It was fun to check out your blog too.